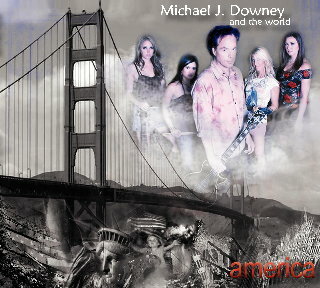 Friends, I want to thank those of you who pre-ordered "america" from Amazon.com and CD Baby. The CD was released this past Tuesday, and was immediately SOLD-OUT at those two suppliers. Thank you thank you thank you! And my apologies to those of you who went online looking for the album. CD Baby has now re-stocked their supply of "america" and has plenty on hand. We've shipped another order to Amazon.com and they should process that any day now. But they are still taking orders, and will probably mail by first of next week, if you order now. UPDATE - 9/11 - Amazon has processed a portion of the shipment (why 'a portion?' I don't know...) and has a few available for same-day shipment. More later this week. I-Tunes has "america" available right now for your download. And last but not least, "america" is available in your local record store! Our 'brick-and-mortar' distributor - Super D One Stop - supplies most of the record stores in the USA and promises a 2-day turnaround on most orders. You can just go into your local store, order "america" and you should be able to pick it up within 2 days! Thanks again for your support. And remember, all profits from "america" go to support my Non-Profit organization - Hashi.org- which gives scholarships and promotes cultural exchange between America and SE Asia. patsy I THINK THAT IS WONDERFUL I SENT FOR MINE JUST WAITING TOGET IT.GOD BLESS YOU YOU KNOW I LOVE YOU .I CARRY YOU IN MY HEART AND IN MY PRAYERS.BASKETS OF HUGS GOD BLESS AND CONGRATLATIONS.